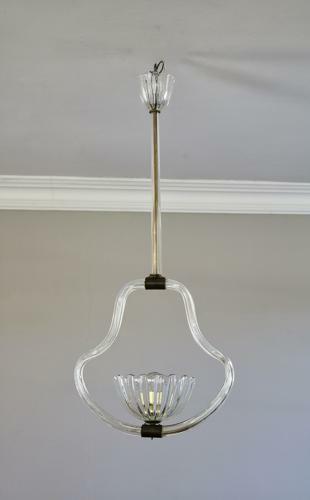 Pretty light from Italy dating from the 1950's. Sculpted shaped glass frame supporting a bowl (containing 1 bulb holder). All held together by brass. Certified and rewired and in good condition (no damage to the glass). The glass bowl measures 20 cm wide and 10 cm high.